Does anyone know how I can train up my Pokemon faster? Does anyone know an Action Replay code to steal other trainers pokemon..
How can I pass beyond Lilycove. I went to Mt. Pyre., reached all the w..
How do I beat the gym leaders those twins of mossdeep city they are to..
how to link gameboy advance emulator? How can I link gameboyadvance emulator? Because, I only use a per.. Check out this monster of a guide to get you through every inch of Pokemon Emerald. The whole game is covered including, the Elite 4, Champion Battl.. There are 1 pending answers for this question. Apart from using a lot of rare candy, the best way is to battle any trainer that will battle you again, including the gyms, and battle wild Pokemon near the Pokemon league... Victory road is a good place. Or the victoy road.... just a thought perhaps. TBH I use the gym leaders to level up, they normally give more exp than regulars So I head against them with weaker pokemon and lose over and over. Since you keep the exp even if you lose, I use them to level up my Pokémon. Although you should try to spend all your money before trying this otherwise (like me) you'll lose it all. Oh-kay I've ben doing this for a loong while now but after beating the Elite 4, keep beating it, they'll eventually be at level 100.
yeah i also have that.Use arbok and blaziken to win.Use venasaur and bellosm as backup. Okay heres a really good tip to get a lv 40 Pokemon to lv 50 or 60. One word: smeargles. If you unlocked the battle frontier, you can go north of the battle palace, then east, then south where an old lady is, and a sudowoodo. If you havent battled the sudowoodo, faint or catch it (i caught it it's easy. It's also lv 40) then use surf where the sudowoodo blocked, then go down the waterfall( you don't need waterfall to get back up. At the end of the cave you find a shortcut to the battle tower.) and west until you see the cave called artsian cave. Go in and the only Pokemon you find is smeargle, wild. Just faint all of them, and you get xp. Plus, they barely attack u! If you go first and make a onehit KO you get xp. If you get 2 hit KO that can be good; it uses sketch, then after that, faint it. Just ask my Pokemon, ludicolo how it worked! Ludicolo: ludi ludi! Ludi ludicolo! He said he was a lombre at first, but now he evolved with better moves! This allso works with anyone who wants to try it. about position 1 - route 111: the reporters are right beyond the rocks. If you just beat the elite four, this works well. Say you went to Stevens house and got the beldum, it starts at lvl 5. You could use the daycare but who's got time for that. If you got raqueza, give the beldum a exp share and fight the elite four with raqueza. His attacks Should get most of the health down. I faced them twice and got beldum past lvl 35 and evolved. Just bring something to restore the pp of the moves. For restoring PP Leppa berries are my recommendation. they take a while to grow but it's totally worth it, Especially if you plant them at the berry masters place. With treeko(or any other starter), use the simple rival method, battle your rival over and over and loss on purpose to get exp. for anyone that has some money, just grab the acro bike, put the pokemon you want to train in the day care, go to the desert, and start moving up the slope, as you notice you can't get up the slope, you stil get steps, tape the "up" button and leave it on the charger over night. to be honest, that is actually a ridicoulously awesome method. There's an easiest way to clone items without cloning pokemon. Just go to Battle tower, to the pc and give your pokemon in there some items. Save, turn off and then on again. Then go to the pc again and this time take back the items you want to clone. After you do that, talk to a lady and accept to battle but just before you complete the save, turn it off. When you turn it on again, you will have the items in your bag, but also they will be with your pokemon in the pc. Does this HAVE to be in a Battle Tower? You could go to the victory road or you could defeat lots of smeargles in the artesian cave or you could just clone lots of exp. until you have six and keep defeating the battle frontier or pokemon league. Well if you are training to get the elite four and you want a high level pokemon just face the people named Gabby and ty. If you keep battling them until their pokemon get to level 39 then you will get 2000 exp. So put the weak pokemon in the battle and put a strong one in. make sure the weak one is holding the exp share. you will be facing a magneton and a exploud so it might be risky but if you have like a blaziken then you can destroy them easily and level up your weak pokemon. Hey! I have a blaziken! Well it is pretty simple. I had rubbish pokemon but these are my pokemon now: Swampertlvl42, Manectriclvl44, Cacturnelvl42, Pelipperlvl42, Exploudlvl42 and Torkoallvl42. Also try Sky Pillar after deafeting th elite four. Finished the game, brought some pokemon over from fire red. I play on gba. Yes, and ACTUL gba. My team is Dragonite, tyranitar, scizor, lapras, nidoqueen, and either a aggron, mewtwo, or meta gross. It really depends. Fight a bunch of Pokemon with alot of HP/DEFENSE. Gives alot of exp. WAILMER, CLEFAIRY, SLAKING etc. So thats why Wailmer were giving me more XP than Sharpedo. Another way is to go to the route east of Fortree city and walk around until you find a spot where you can't walk. Use the devon scope you got from steven and hope that the kecleon will attack you, because you can find 2 or 3 of them on the route every day and they give pretty good exp. I don't have an answer I just need help because my Pokemon team is this: lv100 sceptile Lv80 camerupt lv78 swellow lv79 whiscash and lv78 mightyena. I need my 5 top Pokemon lv100 so I can DESTROY the battle frontier! Is it weird that i easily caught groudon, kyogre and rayquza easy? yes, latias (the blue one, right?) is in the tall grass just outside of littleroot. it works only if you've got through the eilt 4, i think. Meteor falls behind the waterfall me and my freind did this with our combusken and marshtomp we were at lv. 86 in less than 3 days. Beat the elite four then beat it again and again and again and again and again and again and again and again and again and again and again and in and again and again and again and again and again and. Actually oh never mind not ruby and sapphire. You can't get Zangoose in Emerald, it can only be found in Ruby. IDK where in Ruby though, but I know it's only there. Lilycove and go East. There are I think 2 trainers who want to battle after being defeated. There you go. Simply go to the elite four and own. My original team was Sceptile lvl 76, wailord lvl 71, peliper lvl 69, gardevoir lvl 92, and flygon lvl 90. Now all those Pokemon are lvl 100 and like 6 or 7 others. Lvl 100 metagross, lvl 100 milotic and a few others. Just go there and give the exp share to you're weakest pokemon. It will take around 6 beats to lvl one Pokemon with the exp share to 100. Ok, obviuosly the people who DIDNT say go battle the elite fur or go to victory road are assoles. If you want to lvl up quick, like I dunno I lvl 30 Bagon and, you wanna get a salamence from it, just battle elite four and I got mine to lvl 43. Shelgon evolves into salamence at lvl 50 so I hadda do it like one more time and I have a lvl 100 salamence right now. Btw in emerald every new game has Bagon a new gender. Usually boys are stronger but seriously...? Don't be sexis. Use the Exp Share on the elite four. It REAL helps alot I swear on my grave. Also attach the amulet cin to rayquaza since he/she is going to the most of the work on the elite four. Before battling the elite four, I STRONGLY like IMPULSIVLY advise you to bring a lvl 46 smeargle on the way. In case your GOOD Pokemon are running low on hp, send smeargle and select back and restore the good pokemons health and smeargle will probs faint, if not, Good! You can revive or restore the other good Pokemon on low health. I can't tell if you're trolling or just an illiterate idiot. yes me to I agree with you. Hey pal, did you just blow in from stupid town? 2. Bike on slope over night while Pokemon in daycare while pokenav turned off. 3. Battle all trainers that you can rematch over and over again. 4. Smeargles in artisan cave. By doing all of these I got a level 100 Balziken, manectric and rayquaza in 2 days. Also what if your trying to train them and havent beat the elite four.? 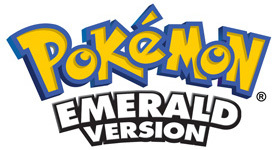 I find it funny how everyone assumed the question was for emerald. Those all work for emerald, however in ruby/sapphire the best place by far is sky pillar. You can find Pokemon up to lv. 60 (yes you can, it is an altaria) on the 3rd floor that Pokemon can be found on. Floors that require the mach bike are Pokemon-free zones. In emerald, that was destroyed by going there early and needing lower wild Pokemon lvs. So go to the e4 or artisans cave. actually for ruby and saphire, go to the day-care and put in whatever pokemon u want to train, head north to the desert, and walk/bike up to a slop. dont go up it, just slide on it. hold down up and keep it on charge. mines on a computer so i had it easier. But this legit works! its how i got my team to 100. dunno if it works on emerald. still testing. Just battle as many wild Pokemon you can find, exp shares always work, but I think exp shares are only on the Nintendo DS, if they are on the Game Boy Advance, use them like crazy; they level up your other Pokemon much quicker. If you haven't beat all of the gym leaders yet, then fly to mauvile, or bike there. Once there, head west. Battle all the trainers, go heal, than go to the patch of grass in the southwest part of the route. The grass has lv. 13-17 pkmn and it helps train. I got a pikachu from lv. 17 to 51 in only 2 hrs. That sounds long, but you are only battling lv. 15's mostly. Go through victory road using the pokemmon you want to lvl while grinding have 5 linoons or zigs (~_~) in your party they could pick up rare candies. dude this code doesnt work at all wtf! Continue to exit and enter between the city and the route, until they will battle you again. Keep doing this until their Pokemon grow to lvl 31. And there you go! 2 trainers, 6 lvl 31 pokes to train off of. Whne you hit the 60s, head to Elite Four I've trained about 30-40 pokes to lvl 100 doing this, so I hope you eventually do to. Well I've played over 3 years and have 31 level 100 Pokemon so listen. Train a blissy to 100 and delete all the attacks but keep tail whip. Then trade it to ruby/saphire/emerald and mix records. Then go to that persons secret base and battle them. The blissy will give you 6000 to 8000 exp. If you have more lvl 100 Pokemon then theres more exp for ya. So pratically I'm battling my own Pokemon over and over again. Altogether I get about 30000 to 40000 exp in one battle. It takes me about two days to get from lvl 5 to lvl 85. The FIRST time you reach the Daycare near Mauville city (should be just west of it) drop the Pokemon you want to be level 100 off. Then, complete the main story. Also, running and biking extra always help. Btw, remember that every time you make a step, your Pokemon gain one exp point. Then come back, and your Pokemon should be ready. If not, it means you havn't ran or biked enough. To make it really easy, just run all over the map. Go from littleroot to evergrande, or whatever. To get to lvl100 from around 70 you should focus on one Pokemon rather than the entire team. Try to beat the elite four and champion with just one Pokemon. If you do it right, your Pokemon should get about 50000 experience points. For if 10 times and you should be lvl 100. It took me 5 days to raise all my Pokemon to 100. If you want to level fast before the Eilte Four, you can keep chasing Gabby and TY. You will also get a lot of money. Rare candies work but they don't help the stats that much. Of you want a high level Pokemon with GOOD stats I would recommend battling lots of wild Pokemon and lots of strong trainers. Also only use a minimum amount of rare candies. Follow all these steps as much as you can to get a Lv5-Lv100. 1:chase Gabby and TY around and make sure you have a good Lv40 Pokemon or higher with you and the Lv5 holds an EXP.Share. Do this until it hits Lv30-38 or so. 2:go battle anyone who wants a rematch with you using it in battle(gym leaders too), any day where no one wants a rematch just battle wild Pokemon of about that Level until someone does. Do this until it reaches Lv44-50 or so. 3:battle the Pokemon on victory road(make sure you go to the lower floors where you would have to use Flash as there are slightly higher Levels and more likely to be better evolved)they are usually about Lv40-44. Do this until it gets to Lv54-57. 4:at this level you are ready to fight the Elite 4, you can fight them over and over again infinitely as much as you want, they give loads of EXP, make sure to give it the EXP.Share in case you need to switch so you can still get some. Do this up until it gets around Lv75-80. 5:now it should be strong enough(hopefully) to take on the E4 all by itself with little or no trouble. Do this until you reach Lv90-100. 6(optional): if you haven't gotten it to Level 100 yet then you can gather as much rare candies as you want and use them on it. I haven't tested this, but I think it would work quite well. Just clone rare candies and vitamins(protein, iron, etc...). If you use the vitamins then you can max out there evs and make it so they are not weaker than normal Pokemon. Give the Pokemon that you're trying to level up an Exp Share. Then beat the Elite Four over and over again. It works extremely fast. Traded Pokemon earn 1.5x more XP. This is an easy answer When you get an exp share only use it when you plan on training an extremely weak Pokemon otherwise it just drains it from the Pokemon you're battling with so use it sparingly though if you attach it to the Pokemon you're battling with it usually inceases the xp it gets so yeah simple ay. Except the ice elite one, glacia. I got rayquaza without using master ball, I simply saved before, and closed the device if I lost or ran out of stuff. After a few tries you should be able to catch rayquaza. Love, the age of Randy Candy overload or spamming the E4 is long over. What you want to get are "Lucky Eggs" a hold item found on Chansey, You'll need to catch them over 'n over or use the move "Thief" to get them they give +50% exp to the Pokemon holding it. This is a very easy was. 3.Secure the "up" button so that it is held down even when you are not playing. If you are using a DS or Game Boy advance SP, put a Dime or other coin on top of the Up button and close it. If you are using a regular GBA, you can simply tape it down. 4.Wait. This is good to do overnight, as your Pokemon will usually be at least level 70 in the morning. If you do do this overnight, make sure to LEAVE YOUR DS/SP ON THE CHARGER, or make sure that you have recently CHANGED YOUR GBA'S BATTERIES. If you do not, your device may die while you are waiting, causing you to lose all unsaved data. Me and my partner, Milky he's my Mightyena. We leveled up to 96 because we battled so many Trainers and Gym Battles. After that, when we reach the victory road, we battled so many wild Pokemon and also Pokemon Trainers. We all defeated them. But now, me and my Milky is resting because we are now the champions. Right Milky? Milky: Garrrrr! She said that I'm right, so you better try what we did too, to become a Pokemon master. That wouldn't help you in battle frontier. 1) Mike and Tabby move to three places. route 111, 118 and 120. 2) first of all select two pokemons,one you want to train and any other Pokemon.give the exp share to Pokemon you want to train. 3) Now go and battle them in route 111. 4) fly to mauville city and surf east and battle them again. 5) fly to fortres city and go east again and battle them. 6)They again go to route 111. So go to Lavaridge city and go east and go south.they will be there. 7)continue it till you get the Pokemon to desired level. First, find the places where the attacking Pokemon are at most 3/4 the level of your pokemon. Then keep training! Shuffle your pokemon's moves to put the most used move at front. -keep a couple of zigzagoons/linoones in your party, at least level 41. They have 10% chance to pickup rare candy. - tropius and marill together can know all HM moves. If you wanna level up quickly, just simply trade your Pokemon, cause every time you battle you will receive an EXP Boost, if that still not fast enough, than give your Pokemon a Lucky Egg. That will almost double the EXP you got, especially if you challenge the elite 4, fought CYNTHIA when she use her Garchomp, if you defeat it, The EXP will reach 8000+ and I guarantee you will satisfied. Does anyone know codes for the following cheats: 1..
What level does lombre evolve into lodicolo? What is..
Game shark code for mac! Does anyone Know a list of g..
how to link gameboy advance emulator? How can I link .. If you hatch a bad egg what pokemon it will hatch in ..